A searing, unflinchingly realist novel about life at war, written during the First World War 'Men are made to be husbands, fathers - men, in short! Not animals that hunt one another down' Under Fire follows the fortune of a French battalion during the First World War. For this group of ordinary men, thrown together from all over France and longing for home, war is simply a matter of survival, and the arrival of their rations, a glimpse of a pretty girl or a brief reprieve in hospital is all they can hope for. 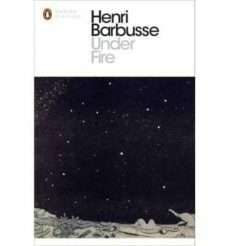 Based directly on Henri Barbusse's experiences of the trenches, Under Fire is the most famous French novel of the First World War, starkly evoking the mud, stench and monotony of an eternal battlefield. It is also a powerful critique of inequality between ranks, the incomprehension of those who have not experienced battle, and of war itself.